Officially, electronic cigarettes are not stop smoking devices; e-cig manufacturers market them as products that are intended to provide vaping pleasure. But anecdotal evidence has shown that these electric devices can help smokers give up their habit gradually. What is it that brings about this cut back in the use of tobacco cigarettes? When you decide to lower your tobacco cigarette usage, you inevitably suffer from withdrawal symptoms. To counter this, you can switch to a nicotine concentration that is comfortable and satisfactory for you. Different nicotine concentrations for electronic cigarettes are available in the market. Average smokers have reported that 18 mg to 24 mg of nicotine e-juice is enough to counter the withdrawal symptoms. Again, this differs from individual to individual. Some will find the transition to electronic cigarettes easier than the rest. The key is identifying how much nicotine your body craves when you’re trying to decrease or quit smoking. An all-in-one starter kit with nicotine cartridges in different doses, allow quite a bit of experimentation. Buying your e-liquids and e-cigarette separately is another way of going about it. Once you get used to vaping, you can lower your e-juice nicotine strength little by little. Of course, the choice of continuing to vape is up to you – some have successfully used e-cigarettes to give up their nicotine dependency entirely while others have continued to vape, with the focus on becoming smoke-free. 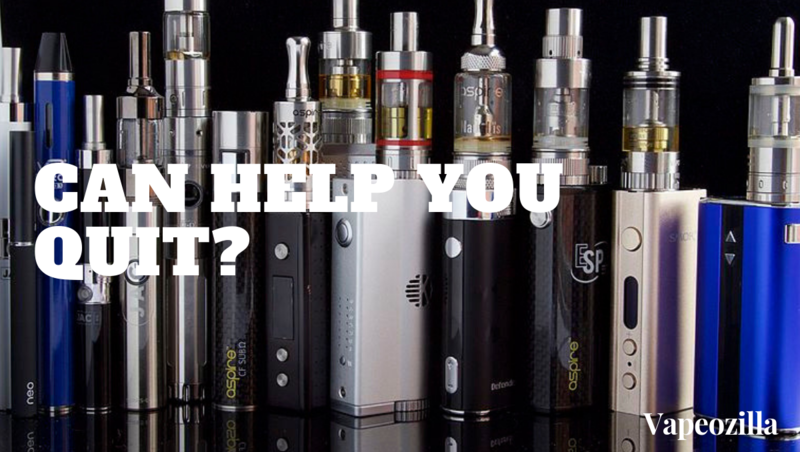 The varying e-liquid nicotine strengths make this task easier on smokers. The time taken to transition from tobacco cigarettes to electronic cigarettes varies across users. During this time, if you sometimes crave a tobacco cigarette, go ahead and have one. You can also reserve an analogue cigarette or two for social occasions only. The bottom line is – electronic cigarettes give you the flexibility to get your nicotine fix without any harmless smoke involved. And the pleasure of vaping is just the same as dragging on an analogue cigarette. An electronic cigarette mimics the act of smoking, making it more enjoyable than gums and patches. The vapor cloud, throat hit and lighted tip deliver ‘pleasure of smoking’, while flavors like mint and cherry are also ‘extras’ that are welcomed by many vapers. Also, you don’t have to deal with the coughing and breathing problems that tend to accompany smoking. Stained teeth and bad odor are other factors that make the switch from tobacco to electronic cigarettes a good idea. But perhaps the most important reason to try electronic cigarettes is the health benefits they offer over analogue cigarettes. You are effectively keeping your system free of toxic chemicals and carcinogens present in every waft of tobacco smoke. Next What Chemicals are Present in Tobacco Cigarettes?